We're often asked about what the shape of a magnetic field looks like, and how it is changed by its surrounding environment. 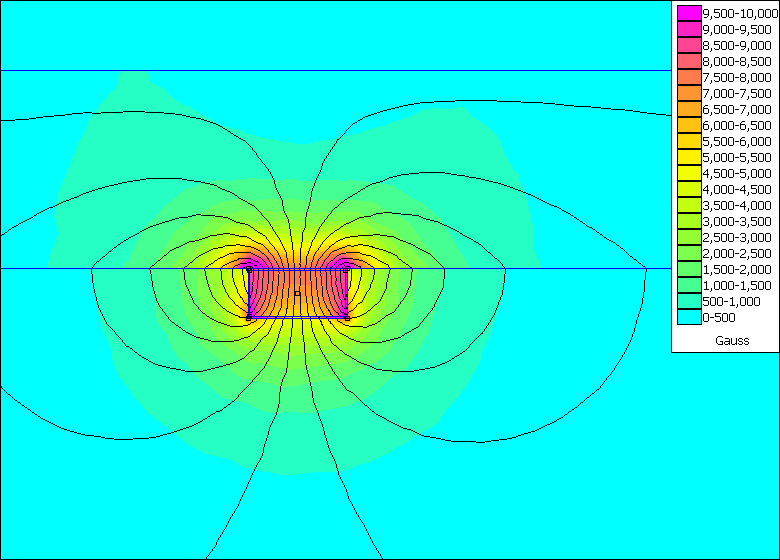 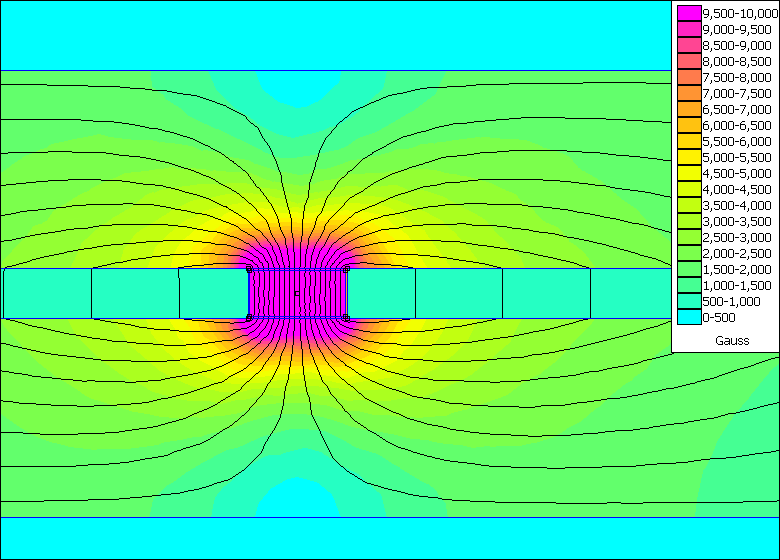 Below are a few screenshots taken from a magnetic FEA (Finite Element Analysis) software analysis. 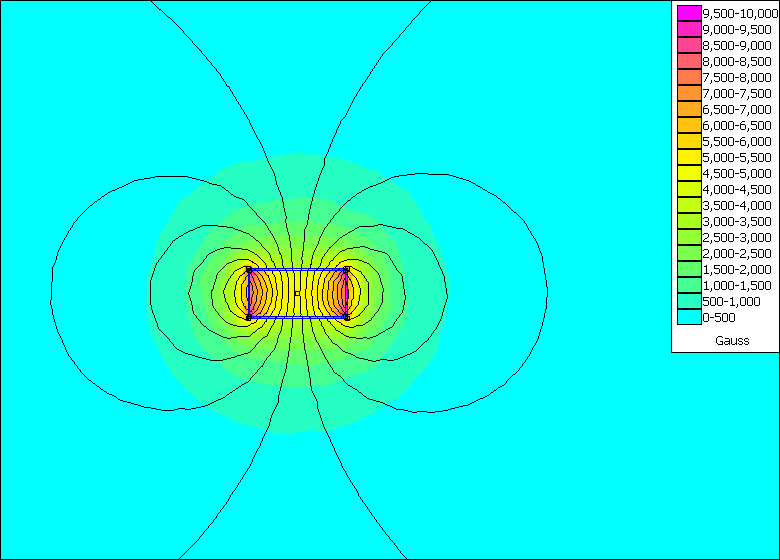 For these pictures, our popular D42 magnet is shown throughout.